Drill Pump_Utility Pump_XINGHUA ZHONGXING ELECTRIC MANUFACTURING CO.,LTD. 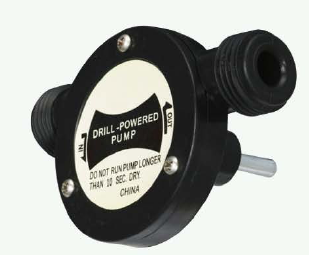 The utility drill pump connects to a standard electric drill. It has convenient 3/4" garden hose connections on the intake and discharge. This small, self-priming utility pump can be used to drain sinks, tanks, aquariums, and small pools.